This entry was posted on June 26, 2015 by Adam Crowther. 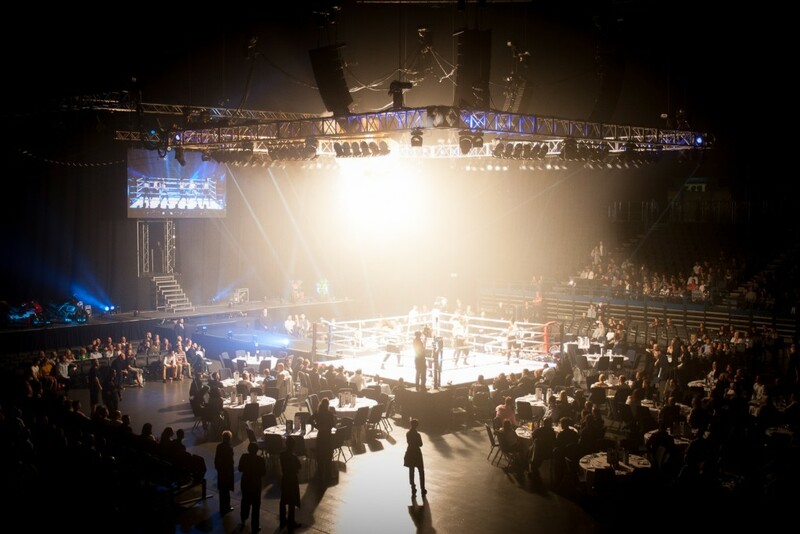 So its been a month since the Main Event, one of Europe's top Muay Thai Boxing Show had its first show at the fantastic Barclaycard Arena, in Birmingham's City Centre. 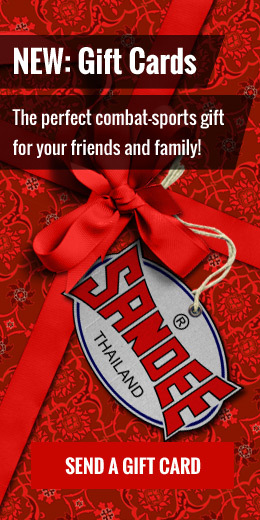 SANDEE have sponsored this event since the beginning in its early incarnation as the Rumble at The Reebok back in 2009 and every event since. 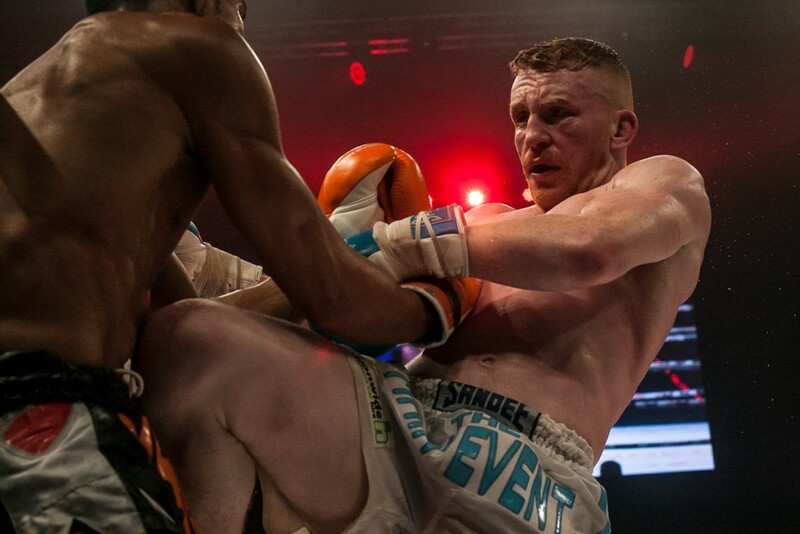 Promotors Darren Morris and Phil Shedden of the Main Event, have a formula which appears simple on paper, but belies the amount of work involved in putting on a show of this magnitude. Put on a great show packed with Full Thai Rules Muay Thai Fights featuring some of the best fighters in the world, hold it in a prestigious venue, and wrap it all up with an amazing production of Lights, Bangs, Flashes, Dancing girls, Firework, Racing Bikes and Fire. And that's just the beginning. 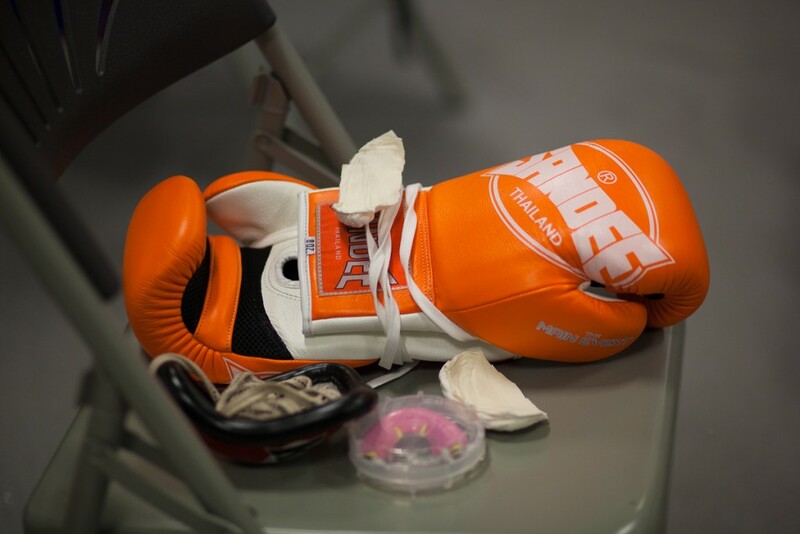 Add to the mix: Drama, Blood, Sweat and Tears, Knockouts, Knockdowns, Countdowns, Lowdowns, High Kicks, Lowkicks, Legends, Pain and Glory and lots of noise and it all adds up to the unique night of Thai Boxing Action which is the main Event. So here are 21 reasons why we love it. We are always treated to a small sun going supernova at the Main Event, this year was no exception. Add to that a troup of dancing girls and 100 decible bangs and you know your at the Main Event. Its not called Muay Thai Kickboxing for nothing. 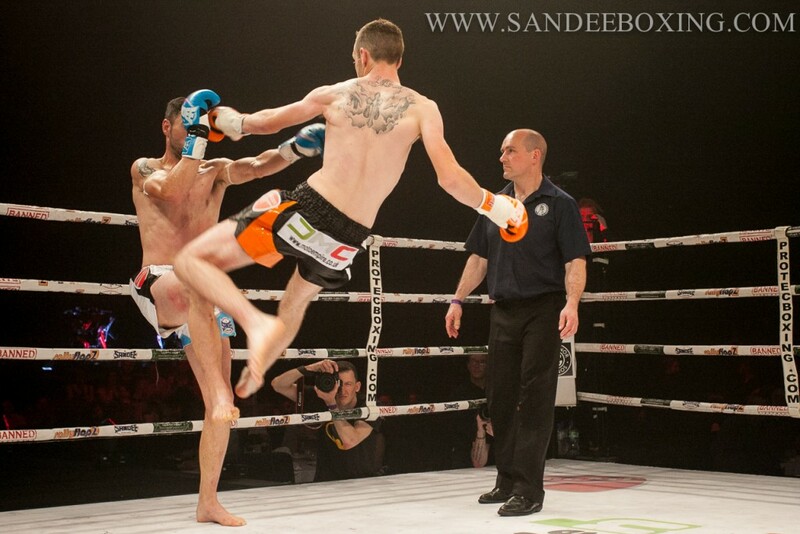 SANDEE Fighter Panicos is a top boxer, but he can also launch a high kick faster than most people can punch. 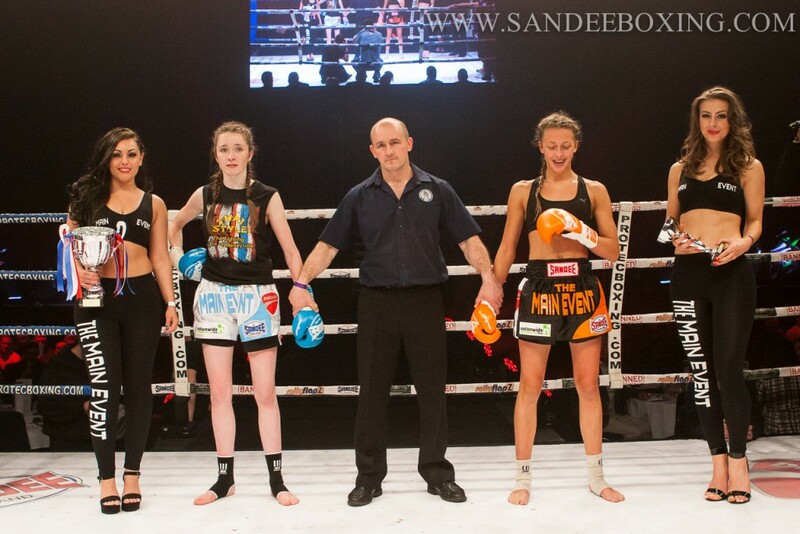 In Muay Thai the girls are as tough as the Guys, no question. Here's a steely eyed Nicola Kaye from Bad Company sealing the ring, 2 minutes before facing her foe Grace Spicer. You cant beat a good old fashioned war with some huge bombs being thrown. There are always a good number of these kind of fights on the Main Event. 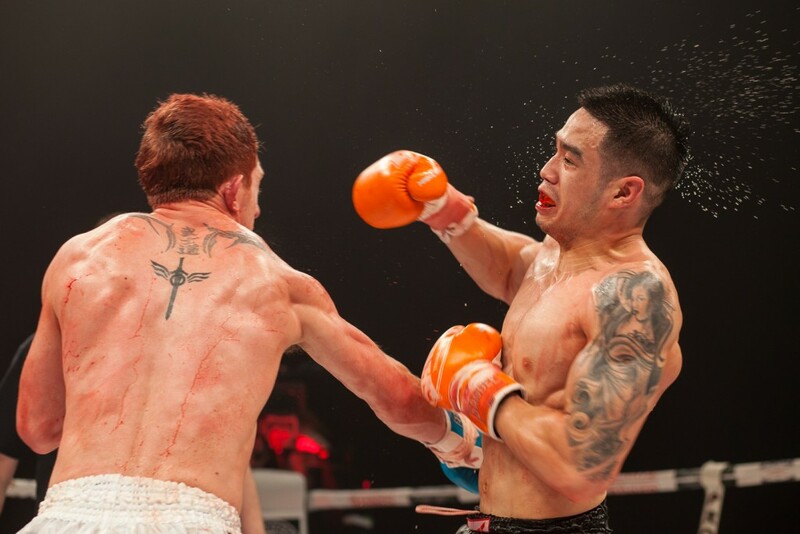 Here Arron Tunrer lands the big Rocky Right on Michael Phan. If you a fan out front then unfortunately you dont get to witness any of this. 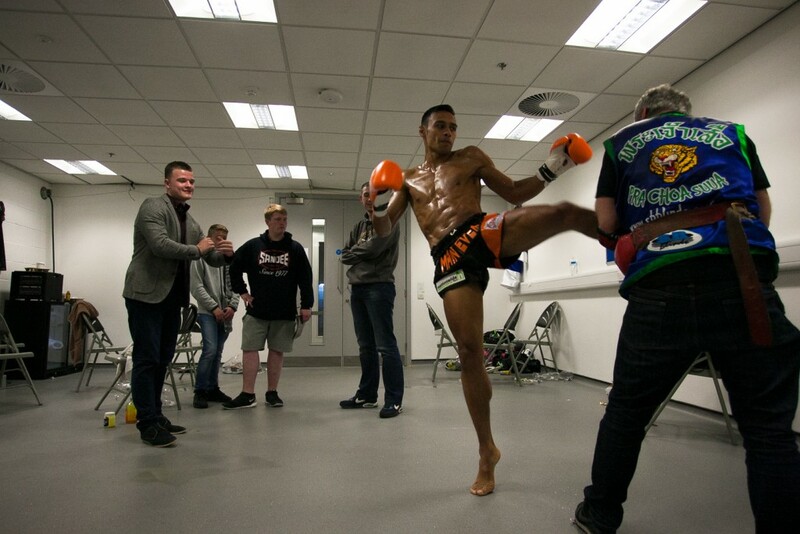 But the teams coaches and staff all get to feel the buzz and unique atmosphere that goes on before during and after the fights are taking place. Here SANDEE Fighter Panicos Yusuf warms up with Coach Tony Myers,. 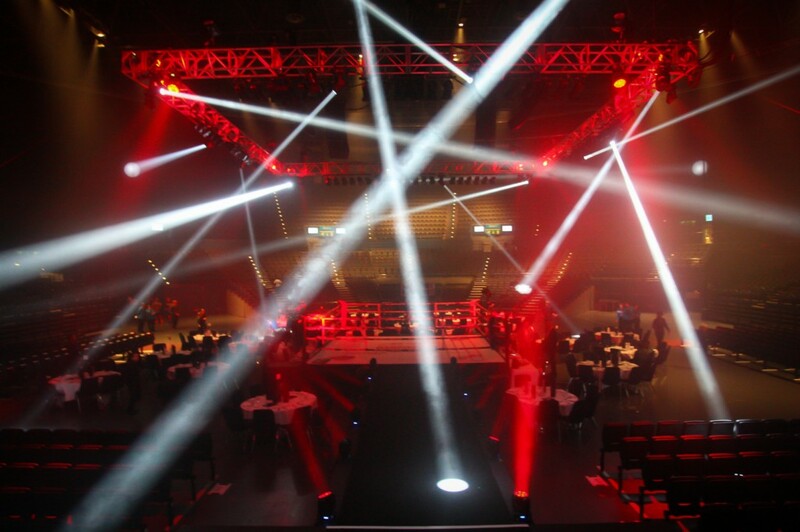 Just about one of the best lighting rigs seen at any combat sports show. The Birmingham Arena laser beams and red mist makes it look like spaceships are landing. Imaging being a fighter walking out to this. Aaron Turner didnt look like he was going tio win this, after suffering a bunch of bad cuts from Michael Phan it wasnt going his way. But Fighters fight, and the best fighters dont give up. Aaron won by TKO. Special talent is the best way of describing SANDEE Athelete Dakota Ditcheva shown on the right about to get her hand raised. This was upposed to be Dakota's hardest fight to date and it ended up been a one sided destruction. Definately one to watch out for. Although fighters have different styles, they still tend to fight in a typically Muay Thai way. 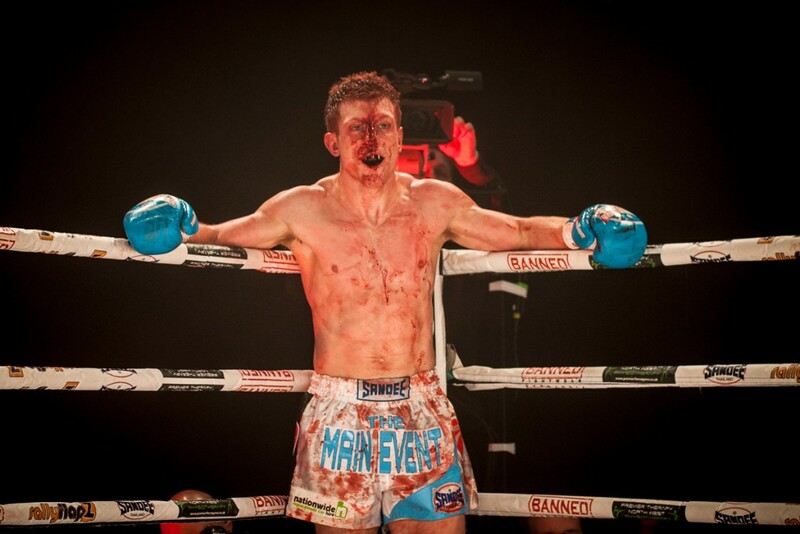 SANDEE Fighter Andrew Lofthouse can do the Muay Thai style but prefers to thrown in his Lofty Style, which involves tricks, spins, bobs weaves, elbows from weird angles, with the odd kitchen sink thrown in for good measure. He is a risk taker and it is always entertaining and effective. The ring canvas soaks them all up! Despite it being one of the toughest sporst you can find anywhere they are few serious injuries in Muay Thai, but with elbows flying around eveywhere there is often blood, but hey hoes thats the way it goes. 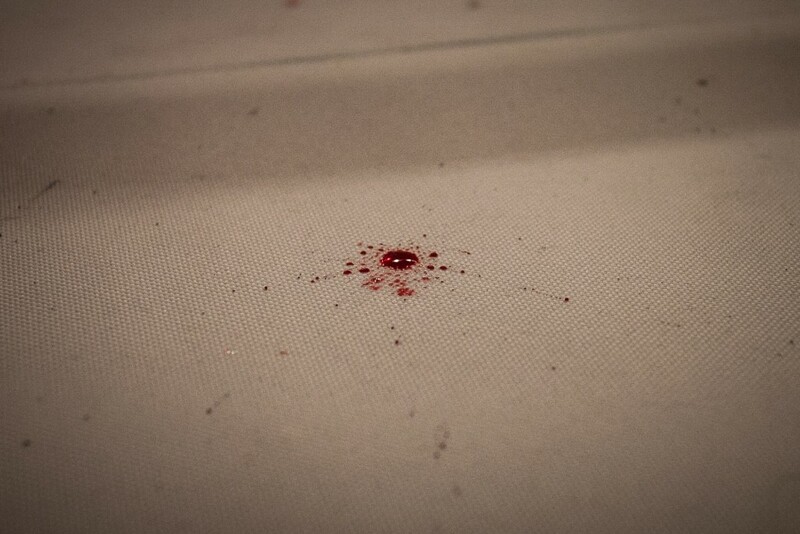 If you see the claret flowing at least you know there has been a war. 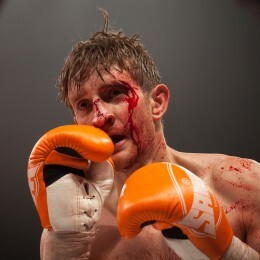 And Thai Boxers are a strange lot, most fighters are proud of their cuts afterwards and wear them as a badge of honour. We had about a million pictures to demonstrate this one (so here are 3) with so many top fighters on the Main Event, we are treated to a Muay Thai masterclass. 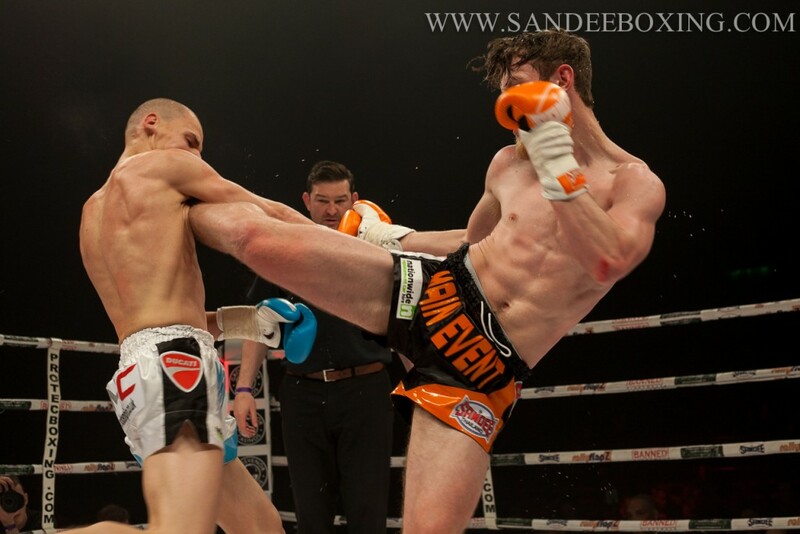 Here's SANDEE Fighter Tyler Liptrott with a perfect roundhouse kick and Patryk Jelonkiewicz showing how tough he is to take it full power across the chest and keep on fighting. And Dakota with a Teep to the face (front kick to the uninitiated) . You have to a very high level of confidence in your abilty to pull this one off. Thai's are the masters of the art of clinch wrestling. Wrapping you up and throwing you around. 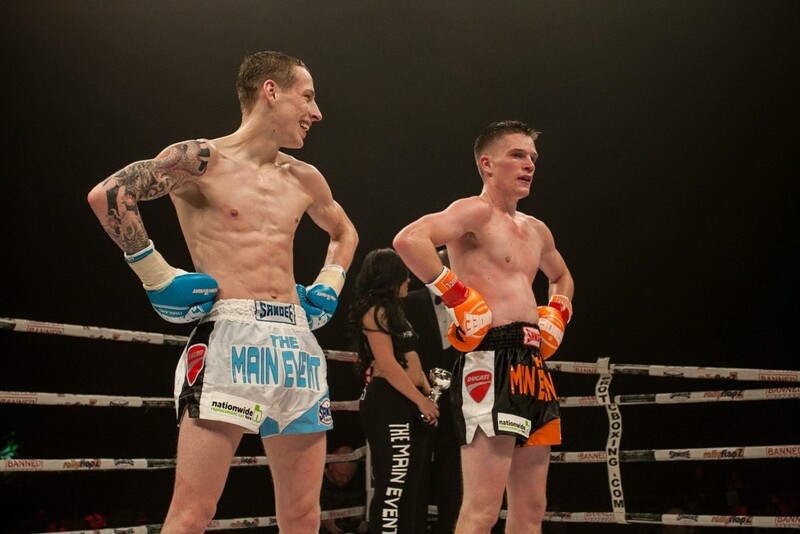 Here's Thai Rungrat Sasiprapa tangled up with KO Fighter Greg Wootton. 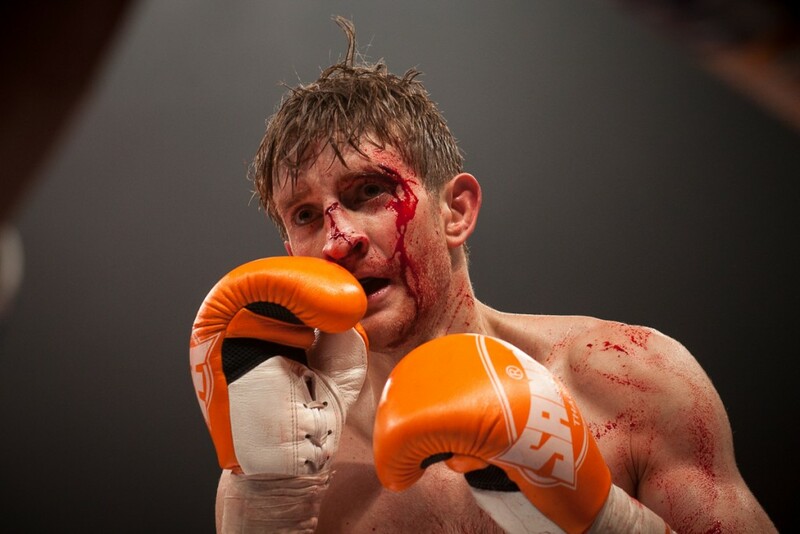 the London fighter Greg Wootton was just class to watch in all areas, including spirit and heart. Depsite the cuts he dominated the Thai in pretty much all areas and took the win convicingly. If your a fighter it has got to be something special to walk out to this. The Main Event Guys always put on somthing great for the fighters to walkout to. 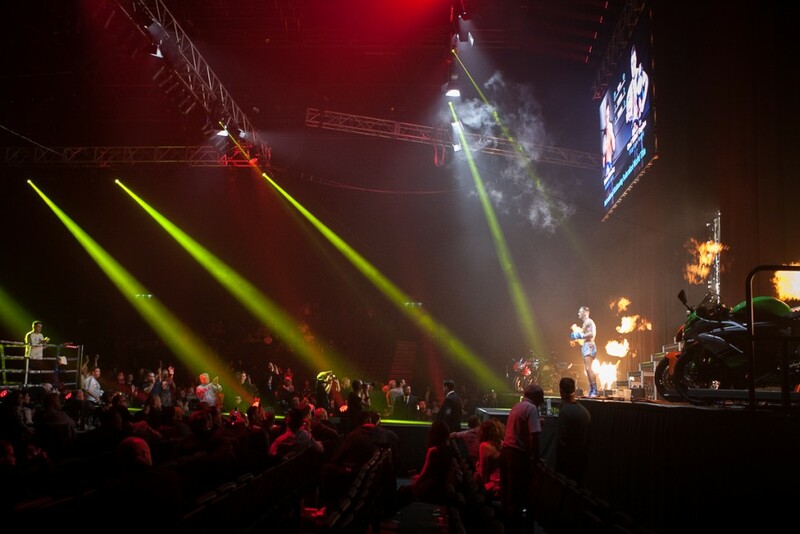 Here Fighter Michael Wakling enjoying the moment surrounded by Fire, Motorbikes, the big screen and spotlights on his way to the ring. After having a good old war, Tam McCourt and Macauley Coyle take part in what can only be described as a "Man-Off" to try and convince the judges of their superiority. 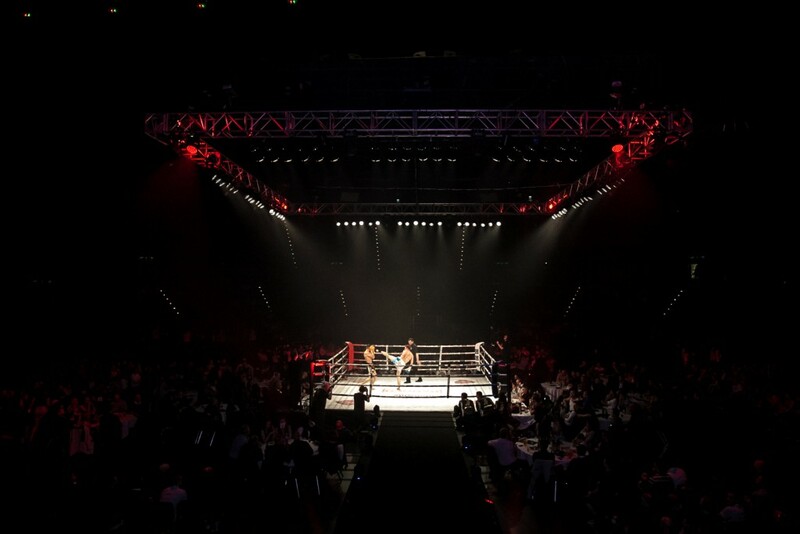 The Main Event is always put on in a fantastic venue. The Devere White Hotel at the Reebok Stadium, The Pointe at Old Trafford, Event City Manchester, and here the Barclaycard Arena, Birmingham was no exception. No doubt about it. 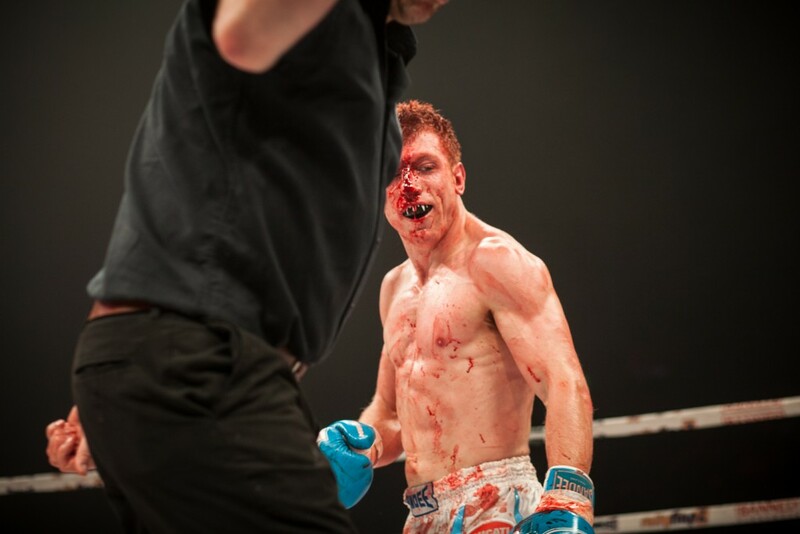 Muay Thai is an intense sport. This picture taken at 1/300 of a second captures that perfectly as Irish Fighter Stepehen meleady, throws the knee at Panicos Yusuf. 20. The One Shot that Sums it all up. Most of the above reasons can be summed up in the single shot. As Arraon Turner on the end of almost certain defeat at the start of the fight, waits for the count of his opponet he has just KO'd. For a Limited Time only (This Weekend) - Get 10% off all products using Code PAYDAY10 at Checkout!